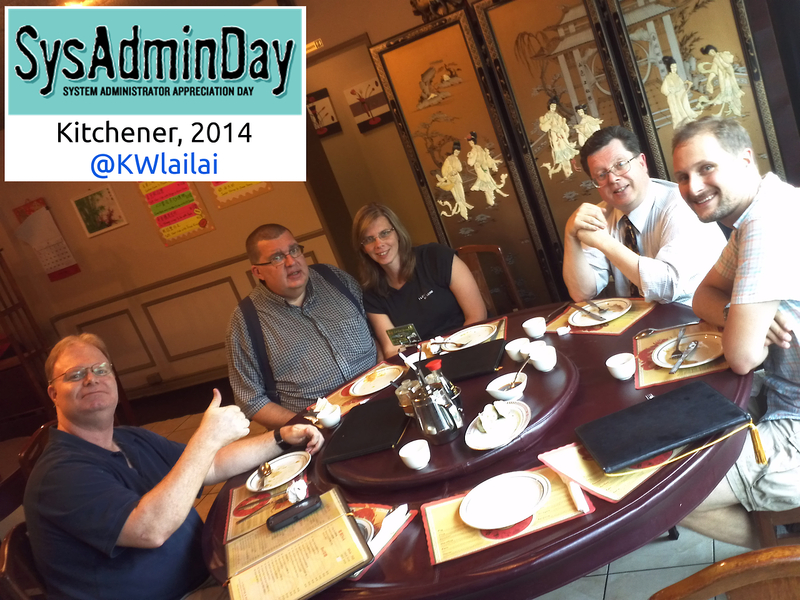 A smattering of local sysadmins System Administrator Appreciation Day Dinner on 25 July 2014. Picture by Laurel L. Russwurm from Waterloo Region is Awesome, used under a CC BY 4.0 license. This entry was posted on	Sunday, July 27th, 2014 at 11:07 pm	and is filed under . You can follow any responses to this entry through the RSS 2.0 feed. You can skip to the end and leave a response. Pinging is currently not allowed.